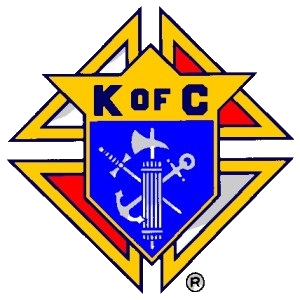 The Knights of Columbus is an order of Catholic men whose purpose is to provide service, fraternity, and aid to the Catholic Church family, to preserve and enhance the Catholic religion, to provide special support for priesthood vocations, to promote respect for life, and to aid those less fortunate. Throughout the year, the Knights of Columbus take leadership roles in the St. Ann Educational Foundations’s Seafood Festival, Annunciation of the Lord’s Christian Initiation of Adults, St. Vincent de Paul Mission, the Committee of Church Cooperation soup kitchen, clothing and relief services, the Intellectual Disabilities Campaign/Tootsie Roll Drive, the Rebuilding Together Campaign, as well as numerous other projects. Most recently, the purchase of a Sonogram machine to aid in the fight against the scourge of abortion. The Knights of Columbus is the “strong right arm” of the Catholic Church. All practicing Catholic men, 18 and over, are encouraged to join the Knight of Columbus and further the mission of Christ here in North Alabama. To being your journey toward Knighthood, please call Grand Knight Jon Spurlock at 256-200-2622 or by email at jonathanwspurlock@gmail.com. Business meetings for members are held on the first Thursday of each month at 7 pm at the Knight of Columbus Hall located at 1609 Wolverine Drive in Decatur, (256) 353-4264. Copyright © 2019 Annunciation of the Lord Catholic Church. All rights reserved.